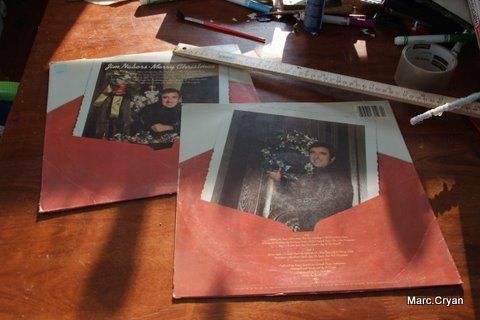 I love the covers of record albums. The art work is so cool! I've been making a lot of bowls and stuff with old records from Freecycle. Now I think I found something good to do with the covers. Cut the cover along the edge, so now you have 2 squares. 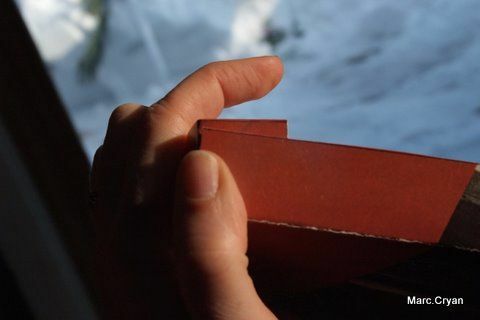 Decide how big you want your box to be. I wanted mine to be big enough for this super awesome book that I'm going to give as a present. I'm making the bottom of the box 1st. Position the book on the cover where you want it, and trace. Now decide how tall you want the box to be. I wanted mine to be 1" tall. Draw a border 1" around your existing lines. Then cut out along the border. 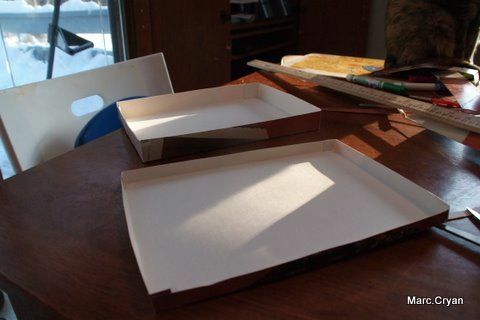 Then fold up the walls of your box, tucking the tabs you just cut inside. Now tape the box together. 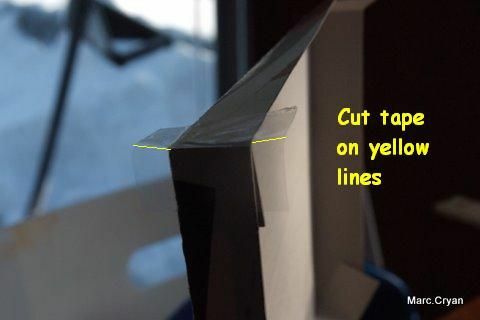 Put a piece of tape on the corner, and cut on the corners of the tape. 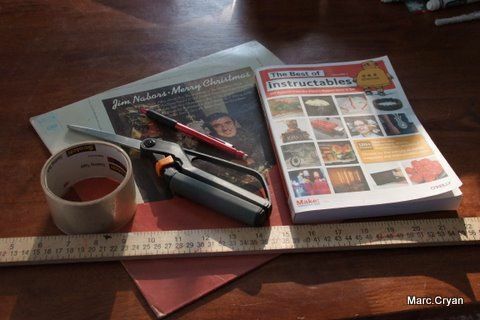 Fold the tape down, and it makes a nice neat corner. Step 7: Now the Top. Make sure the lid is just a smidge bigger, so that it can fit on top of the box. 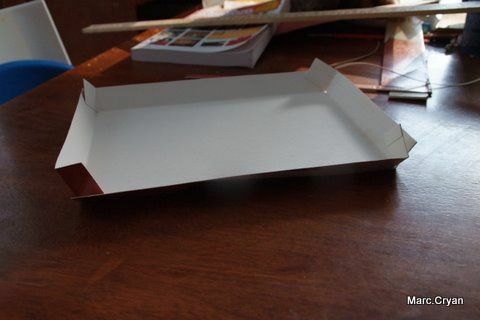 Also make the height of the lid shorter than the height of the box. That's it. 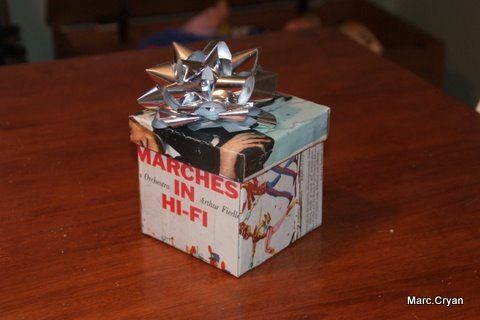 Now you have the perfect size box for your present. 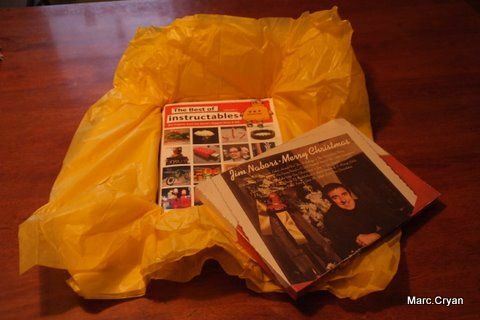 This is a great way to package anything you've made out of vinyl records. (coasters, jewelry, bowls) Or just throw in some candy or baked goods for a quick gift. 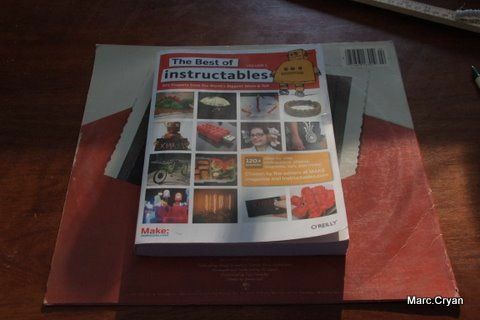 This is definitely one of those instructables that I smack my forehead over. 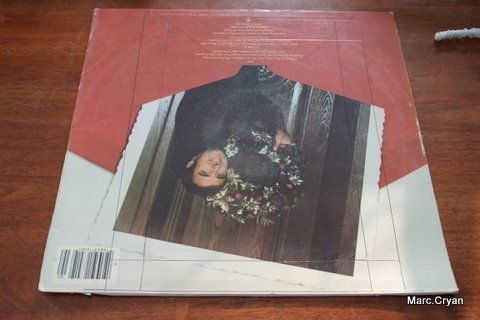 I've made boxes like this before, but I'd never thought to make them out of LP covers. Nicely done!